SKU: P194. 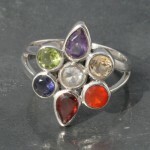 Category: All Jewellery, Chakra Pendants, Jewellery Stone Type, Pendants, Pendants Stone Type. The Seed of Life comprises 7 overlapping circles which symbolise sacred unity, the unfolding complexity of Creation and the beginning of all life. It is a symbol of blessing, fertility and protection. 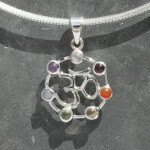 Wear this pendant to balance and harmonise your whole chakra system and boost your energy field. In addition, it can help in the creation of new ideas and paths in life. 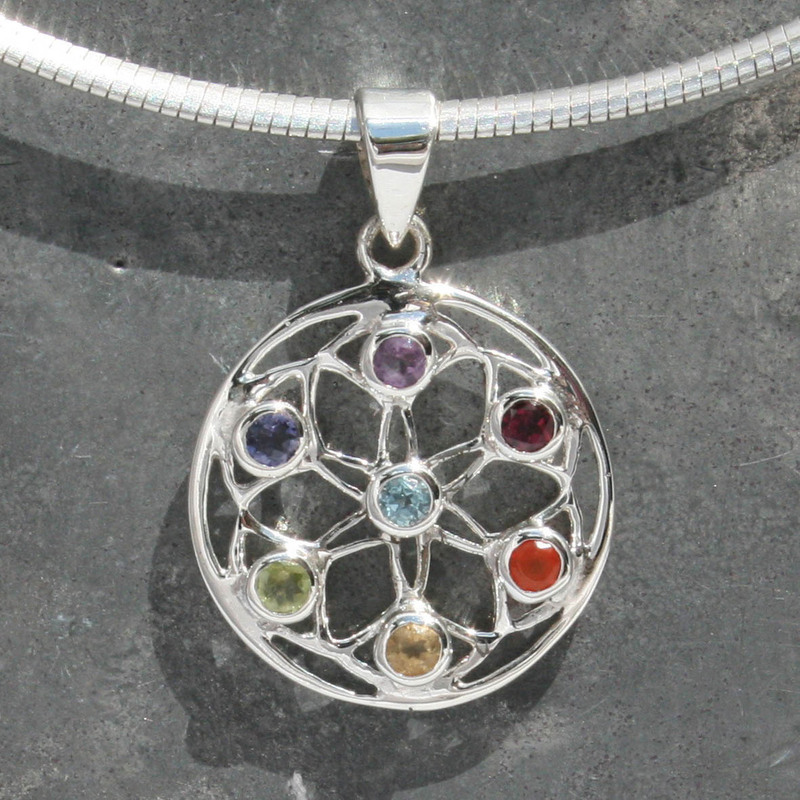 Our sterling silver Chakra Flower, Seed of Life Pendant contains a corresponding stone for each of the seven Chakras, starting at the Crown with Blue Topaz (centre of the Seed of Life) followed by: Amethyst, Iolite, Peridot, Citrine, Carnelian and Garnet at the Root Chakra.